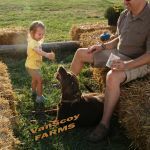 A Fall event, we enjoy serving our CSA customers and guests Farm to Fork food. This annual even has grown to include several activities for the family and friends. 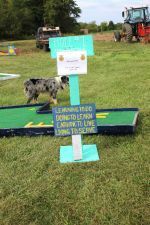 We added putt putt golf, tic tac toe, checkers, and corn hole this year. 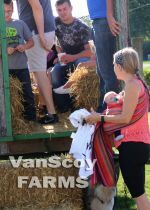 We brought back our tractor and American Gothic photo boards and pumpkin painting activities, as well as the hay ride and greenhouse fact tour. Buddy followed each tour group. Great to see so many little ones. Coco and Buddy loved being loved! Ridgemont FFA brought out 9 holes!